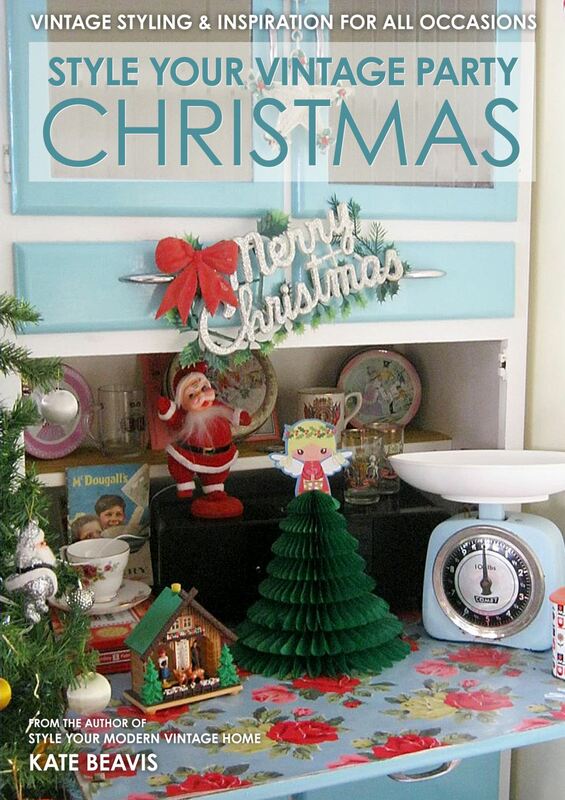 The trend for decorating our homes for special holidays is growing year on year, as just like Christmas and Easter, it is a time for relaxing with family, enjoying great food and spoiling ourselves rotten! 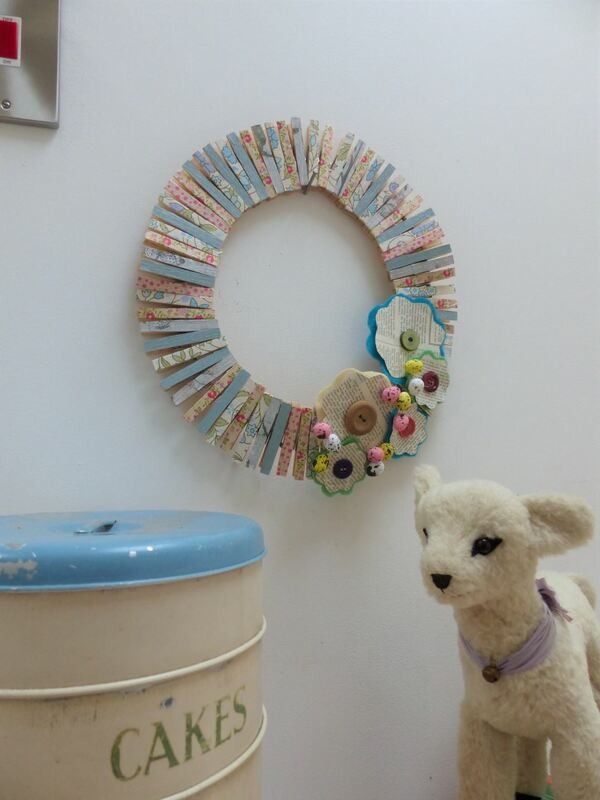 Every year I make a wreath with the children, with a spring feel, to hang in our kitchen diner and this year we are making a clothes peg wreath using pegs that my husband bought me for Christmas (don’t ask!). 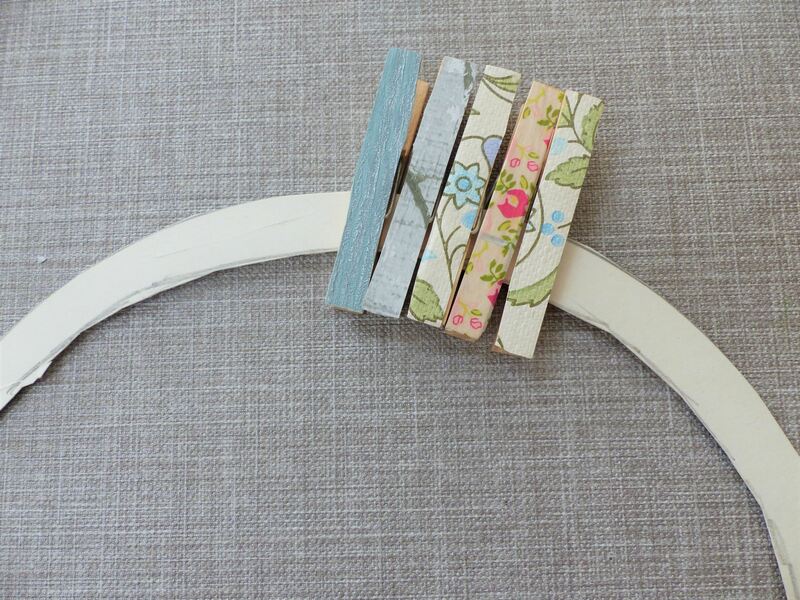 Wooden clothes pegs. I used 70 in total. Old pieces of paper from magazines. 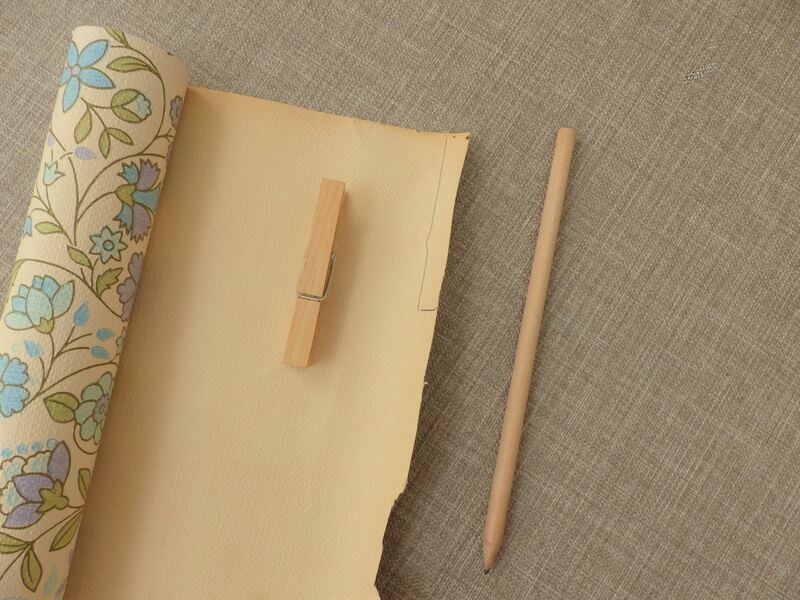 Using a pencil, draw around the clothes peg on the back of the offcuts of wallpaper. 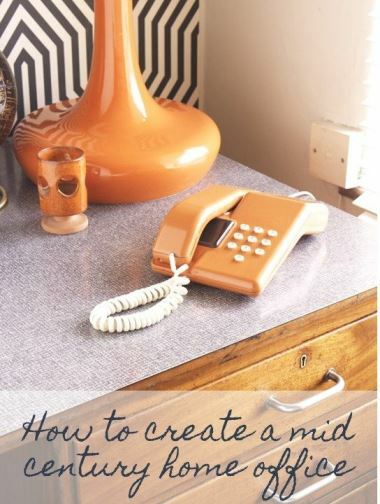 I chose three different colours of wallpaper in pastel shades. 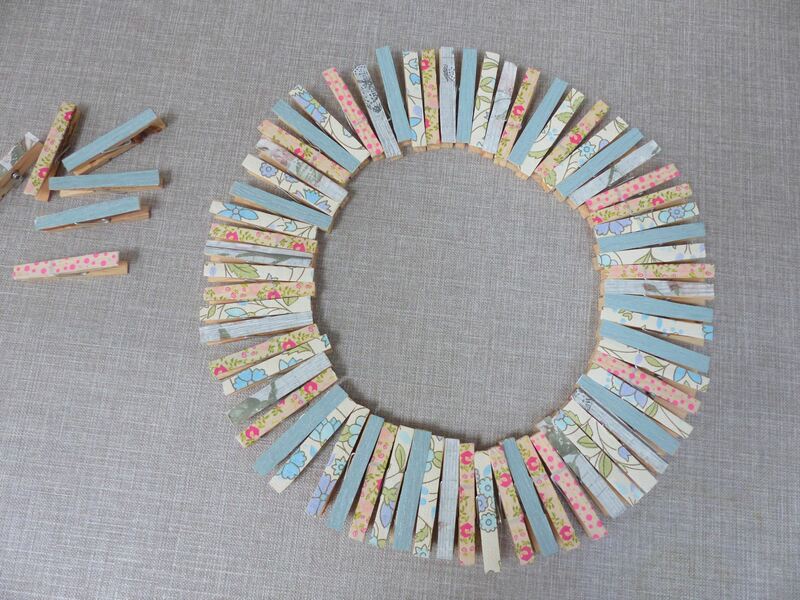 Cut around the shape using scissors. 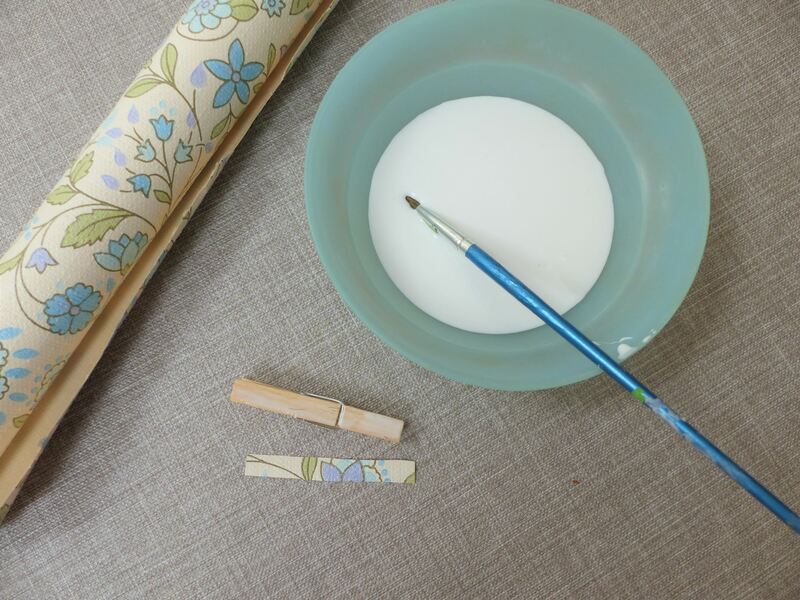 Using the PVA glue, stick the wallpaper shape to the front of the peg. 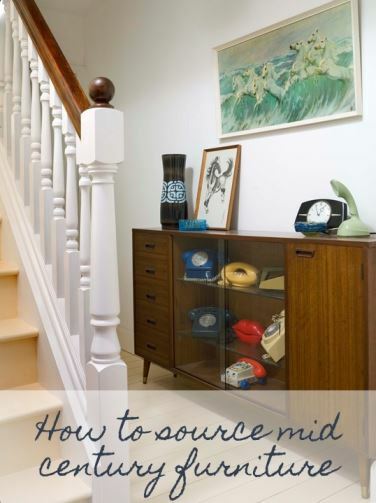 Repeat this step for all the pegs, choosing a varied selection of patterned wallpapers. 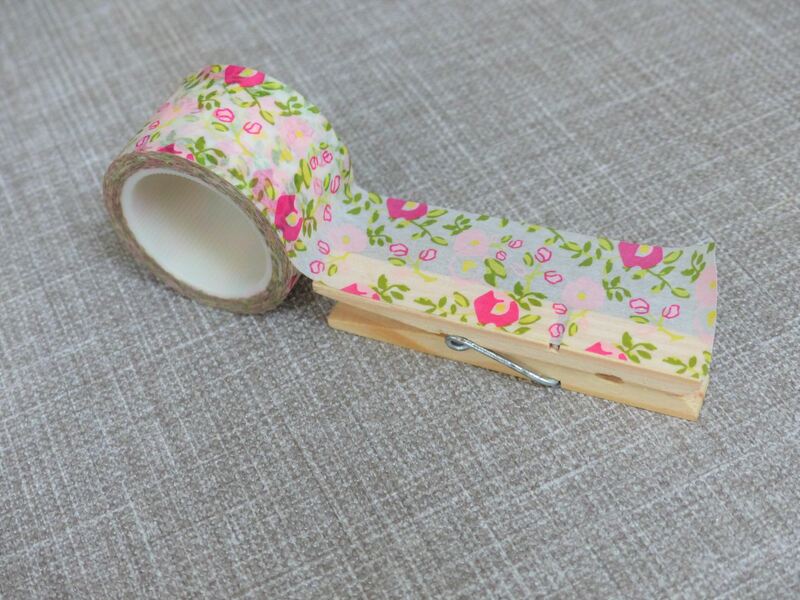 If using washi tape, cut out the correct size and stick to the peg. You can fold any overhang along the sides. 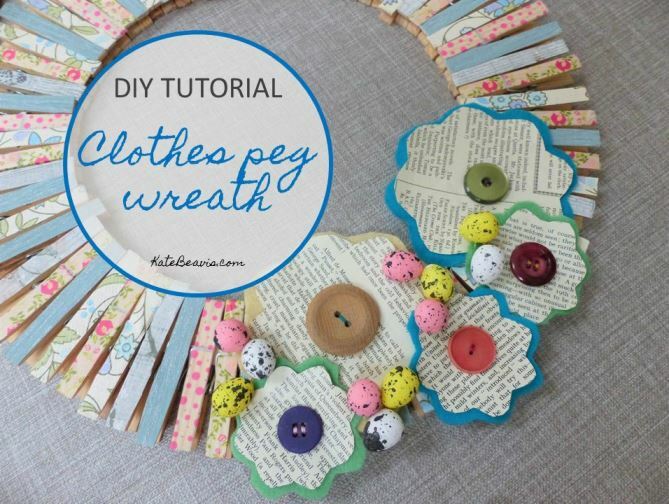 When all pegs are covered, position them into the largest circle you can on a flat surface. 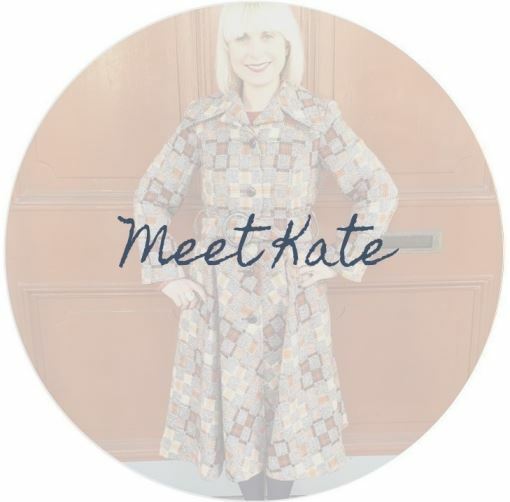 Mix all the colours and patterns throughout the circle. 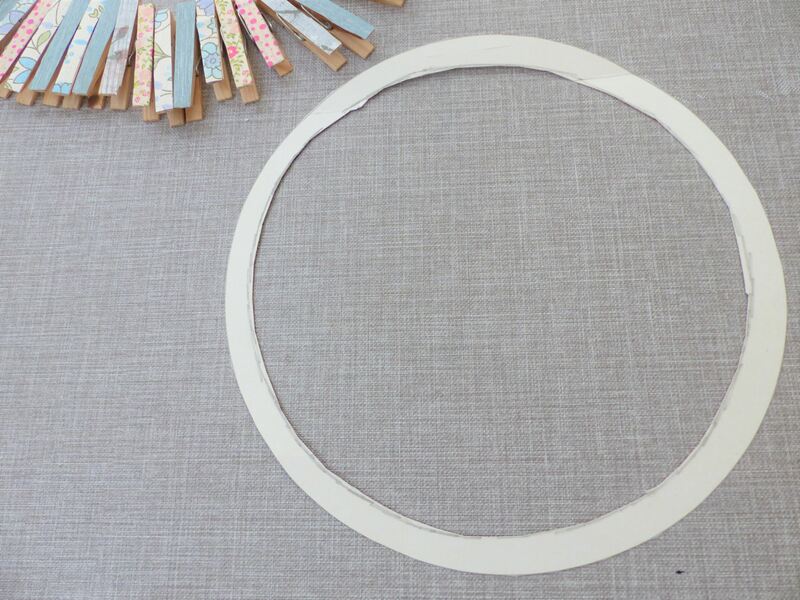 When your circle is finished, you need to measure it to see how large to make the cardboard frame. 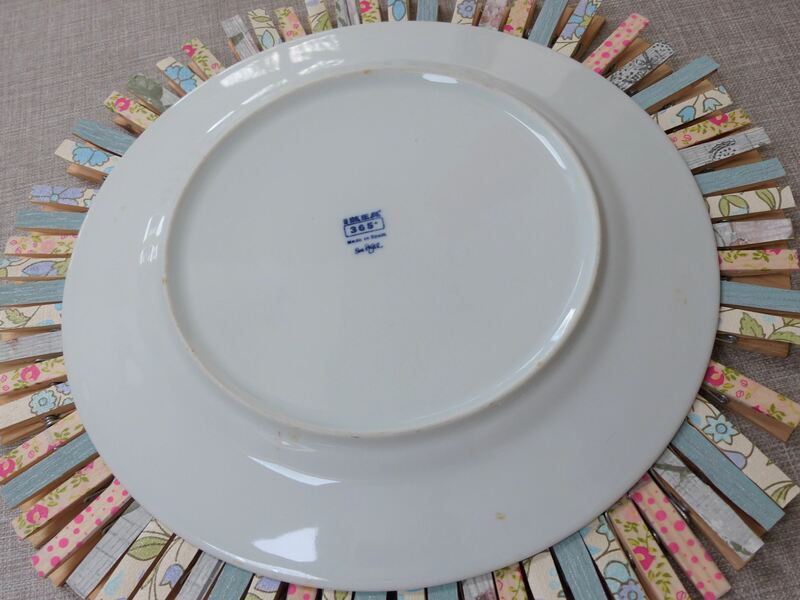 I used a dinner plate to measure it by placing it on top of the pegs. This was the right size for 70 pegs. 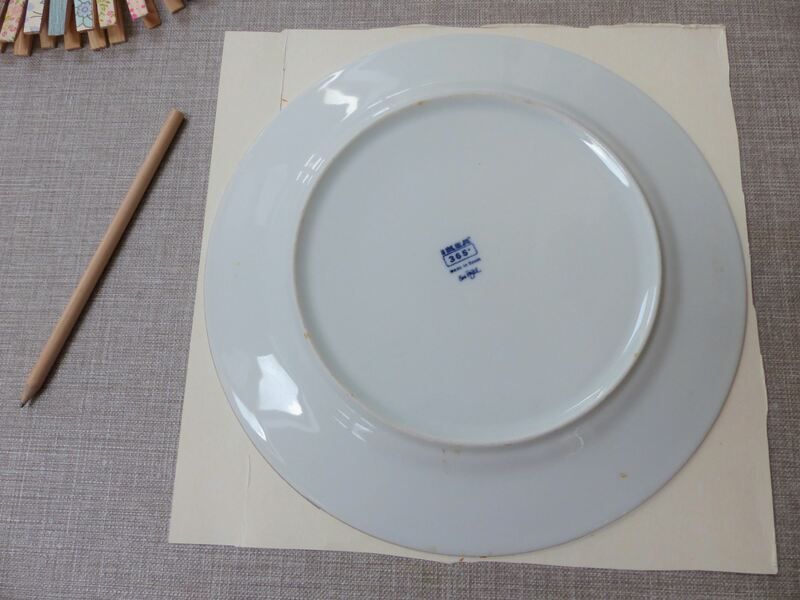 Place the dinner plate onto the cardboard and draw around with the pencil. Cut this out. 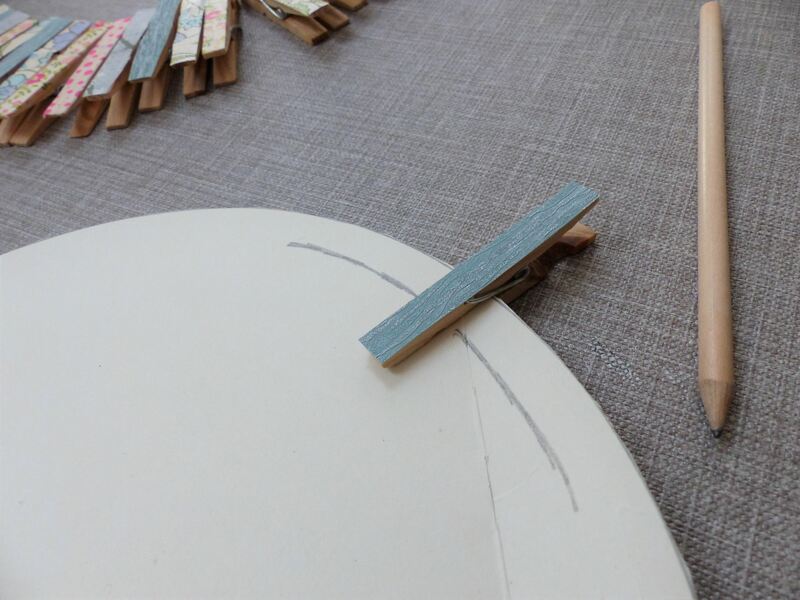 Position one peg onto the edge of the cut cardboard shape and roughly draw an inner circle which will sit inside the pegs grip. 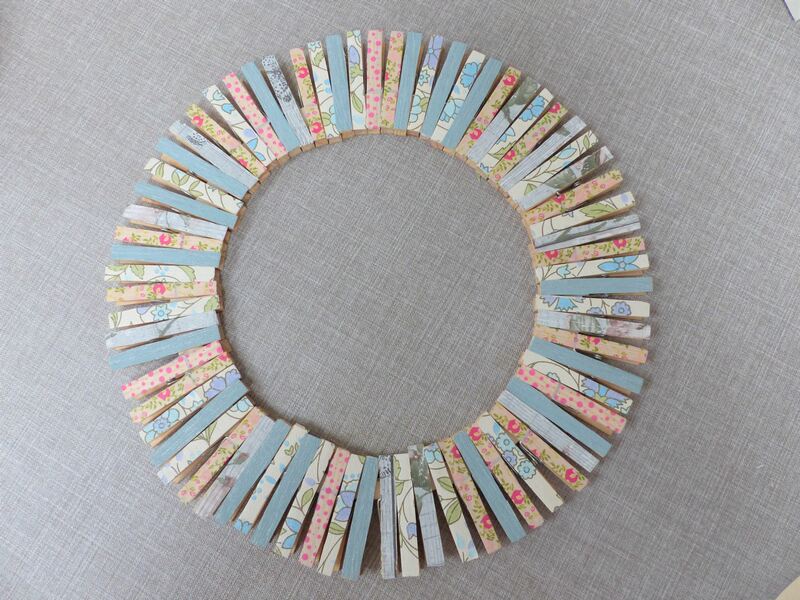 Cut this out so you are left with a ring shape. Position all the pegs onto the ring. You may want to repeat this stage so you have two rings. 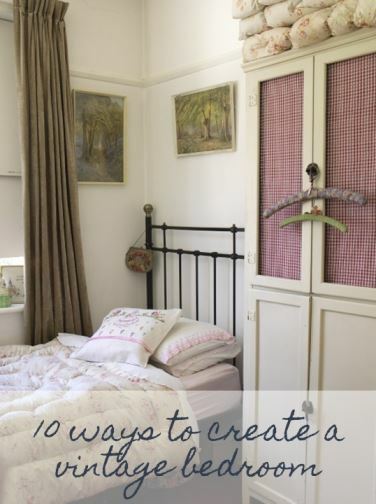 Then glue these together to make a sturdier frame. 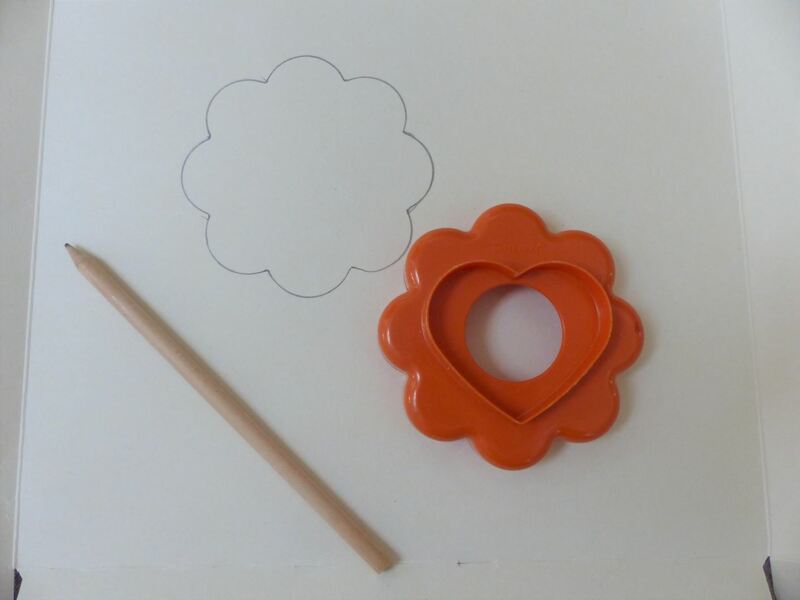 Either free hand or using a flower shaped cookie cutter, draw a flower shape onto another piece of card. 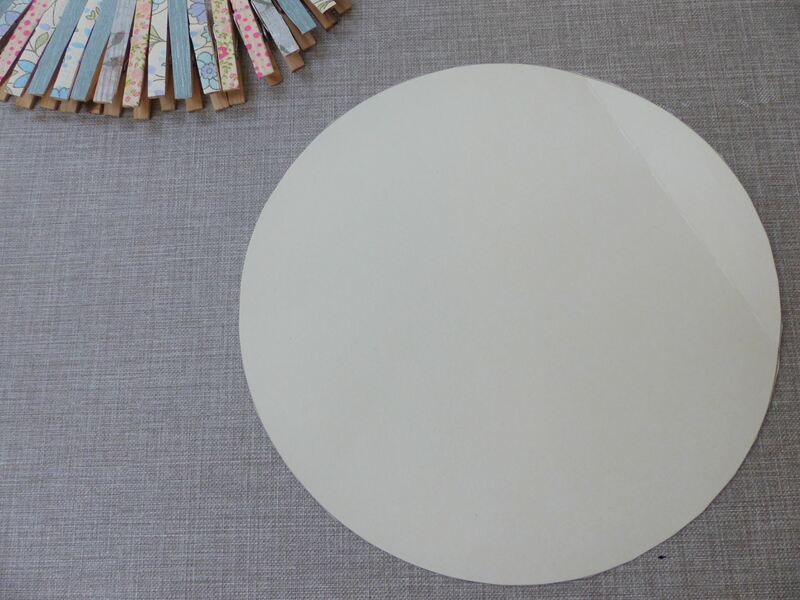 Cut this out to make a template shape. Repeat this step making a smaller template. 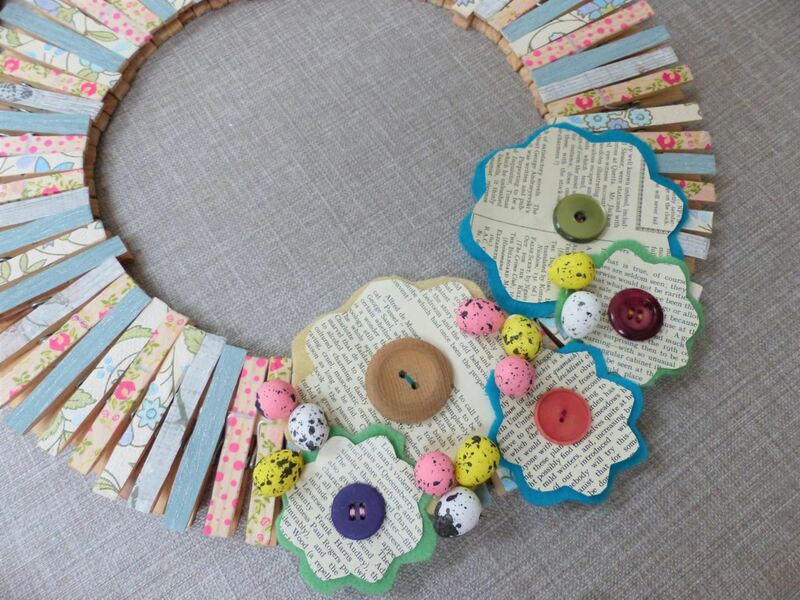 Using the template, cut out flower shapes in different coloured felt. 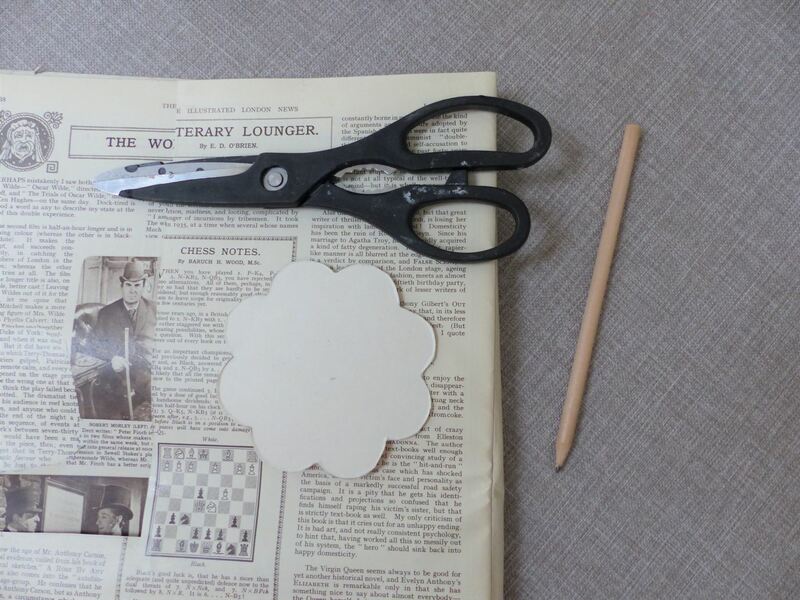 Using the template, cut out flower shapes on old paper. 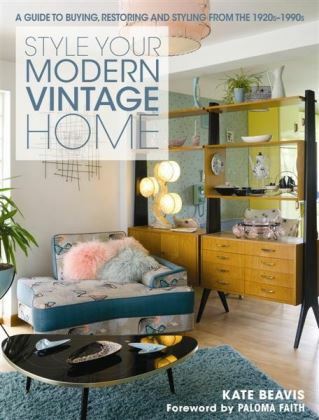 I used an old ripped vintage magazine but you could use a modern newspaper or map too. 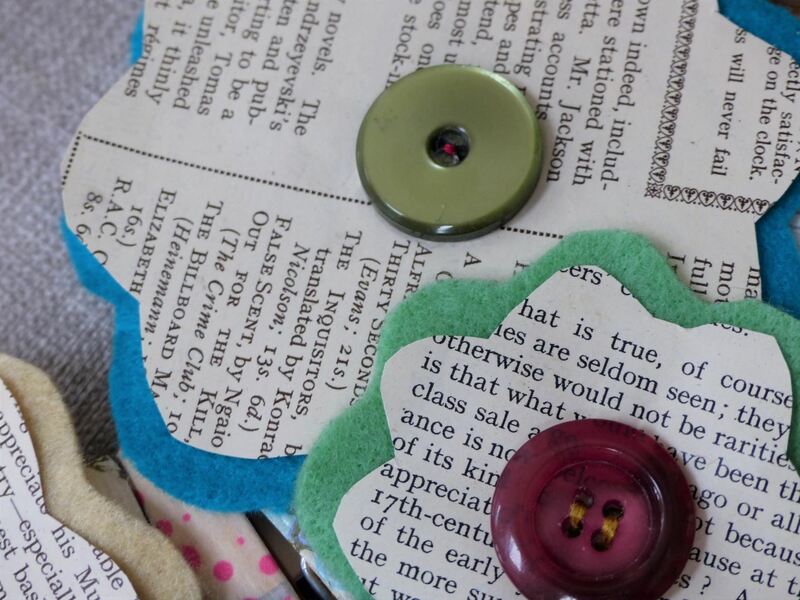 This paper flower will sit on top of the felt flower so you may wish to cut it slightly smaller so you will be able to see the felt. 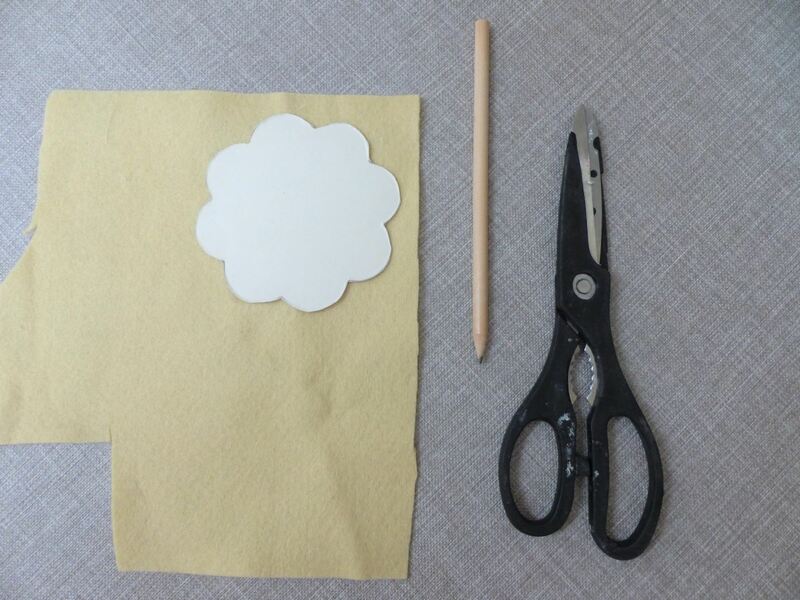 Glue the paper flower onto the felt flower. 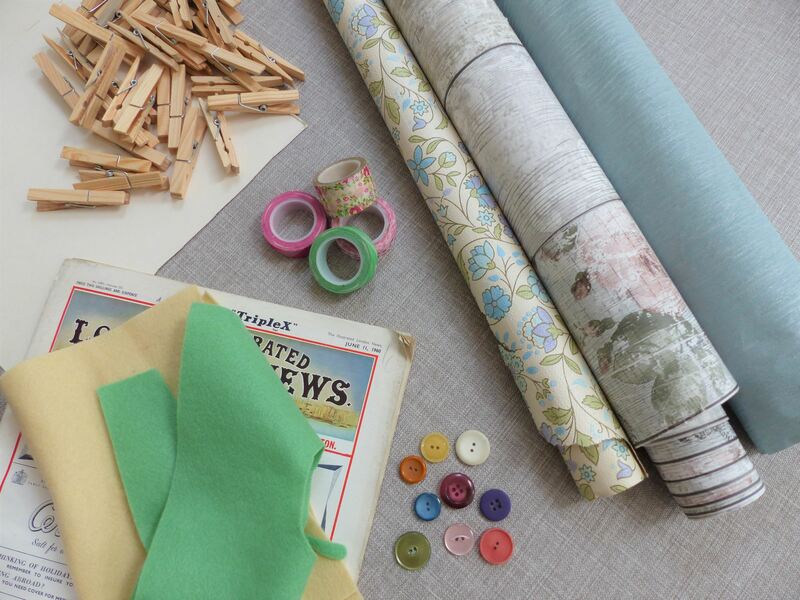 Choose contrasting buttons and sew into the centre using coloured cottons. 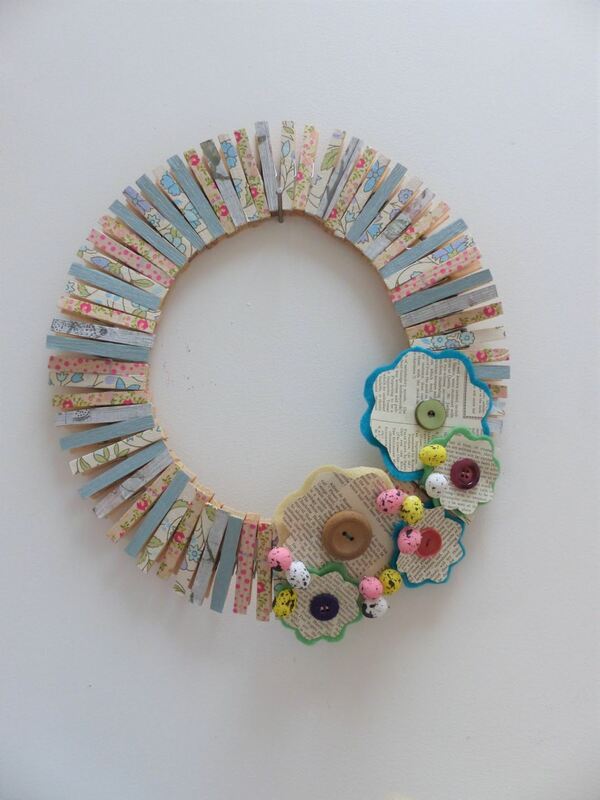 Glue the flowers into position on the peg wreath. I chose to glue them in the bottom part, off centre so I could still see the pegs. 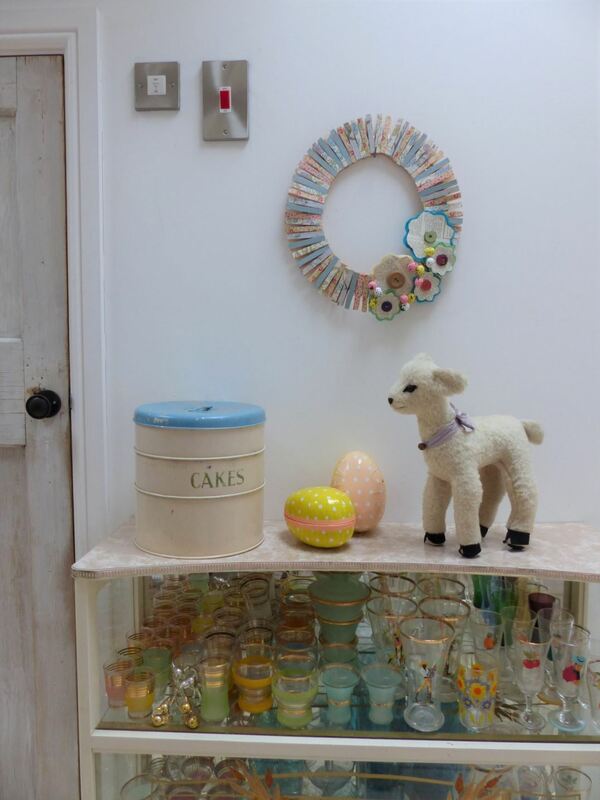 This is my clothes peg wreath project for Reloved Magazine for Easter hence there being small eggs on the wreath!